30.09.2017. Exhibition “Georgia – The Cradle of Wine” is being held in Bordeaux, France. Within the framework of the project, the presentation of the Georgian supra was held in the Center of Wine Civilization “Cité des Civilisations Du Vin”. The guests of the presentation got acquainted with the peculiarities, aesthetics and the importance of the Georgian table. Guests tasted Georgian dishes made by Georgian professional chef Tekuna Gachechiladze. Georgian writer Zurab Karumidze led the presentation. The inspiration of the presentation became the exhibition "Georgia – The Cradle of Wine", which has been visited by more than 33,000 visitors. 27.09.2017 (Hvino News). It is fourth time Ministry of Agriculture and National Wine Agency are organizing “Georgian Wine Week”. Georgian Wine Day was first celebrated in 2014. 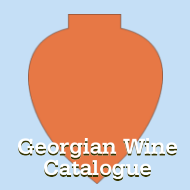 Due to high interest to the event, in 2016 it was decided to transform the “Georgian Wine Day” into “Georgian Wine Week”. On September 29, at 12.00 "Georgian Wine Festival” will be held for the second time in the city of Marneuli as an archaeological center of Georgian wine, with presentation "Marneuli - The Cradle of Vine", with ethnographic exhibits from archaeological excavation locations in Marneuli municipality. During the festival, grapes will be pressed in “Satsnakheli”, and the guests will have the opportunity to taste Georgian wines. 26.09.2017 (Hvino News). Another group of wine experts from USA led by Julie Peterson has just visited Georgia. Julie Peterson heads Marq Energie marketing agency, which is contracted by Georgia's National Wine Agency's to support Georgian wine promotion in USA. 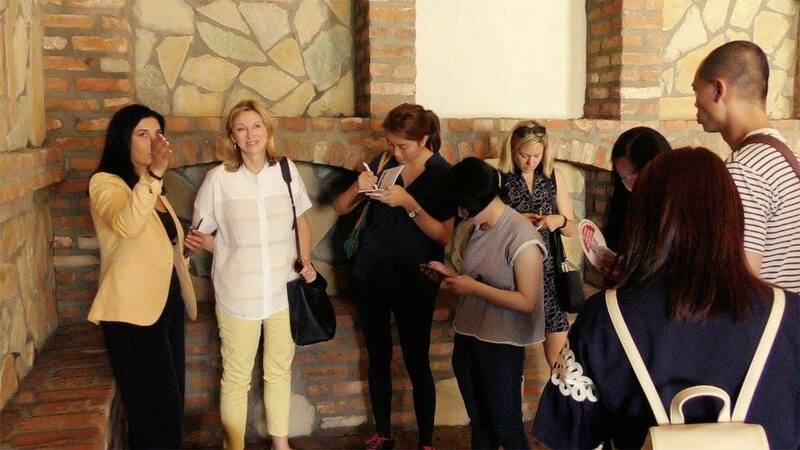 22.09.2017 (Hvino News) A group of British wine writers headed by Sarah Abbott, Master of Wine, has recently visited Georgia. The group, which included Miles Willis, Martin Lam, David Williams, Emma Diggory, Kate Clarke, Madeleine Waters, had the opportunity to taste wines of the following companies: Telavi Wine Cellar, GWS, Mukado Wines, Alaverdi Monastery Cellar, Vita Vinea, Papari Valley, Tchotiashvili Family Vineyards, Pheasant's Tears. 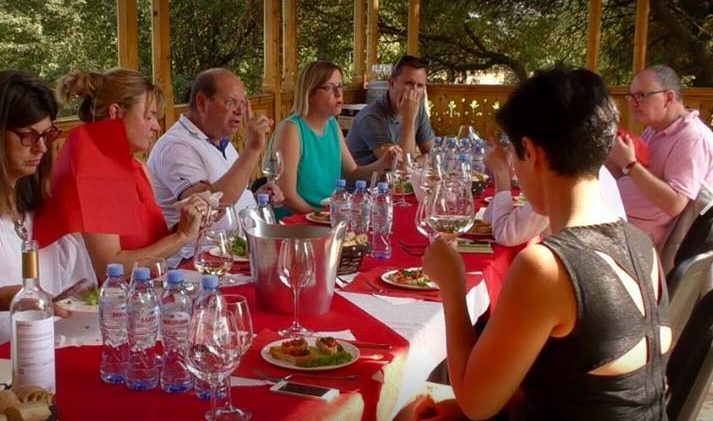 Before going to Kakheti, Sarah Abbott met the representatives of Georgian wine companies in Tbilisi, talking about the pricing policy, labeling of wines, quality issues. “A group of wine professionals from the UK is visiting Georgia. This visit is special, as the UK market is prominent for Georgian wine export. The entry and development on this market is a priority for Georgian wine. After the visit, the guests will write abut Georgian wine culture, that will further promote Georgian wine awareness growth in the UK”- said Giorgi Samanishvili, head of National Wine Agency, which cooperated with Sarah Abbott's “Swirl Wine Group” as local marketing contractor for Georgian wine promotion in the UK. 21.09.2017. China is welcoming the opening of a new Georgian wine museum that will show the country’s 8,000-year-old history of winemaking, its culture and folklore to visitors. ‘Window to Georgia’ is the name of the Georgian wine museum that opened in Shangri-La Hotel located in the city of Yiwu in central Zhejiang province. Visitors to the Georgian wine museum can see a large, ancient Georgian winemaking vessel qvevri, wine-related items and Georgian wine and vine varieties. Georgian wine is distinguished by its uniqueness. 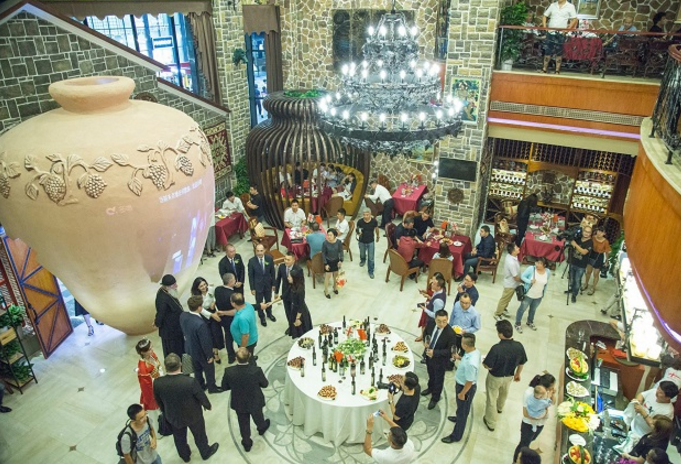 We are glad to see growing demand on Georgian wine in China,” said Georgia’s Agriculture Minister Levan Davitashvili who attended the wine museum opening ceremony in China. China remains one of the largest importers of Georgian wine. Between January and August 2017, over five million bottles of Georgian wine were exported to China, says the Georgian National Wine Agency. This is a 51 percent increase in comparison to the same time period in 2016. With these numbers, China takes second place as the largest importer of Georgian wine. 20.09.2017 (Hvino News). The 2017 Decanter Asia Wine Awards (DAWA) results were officially announced. 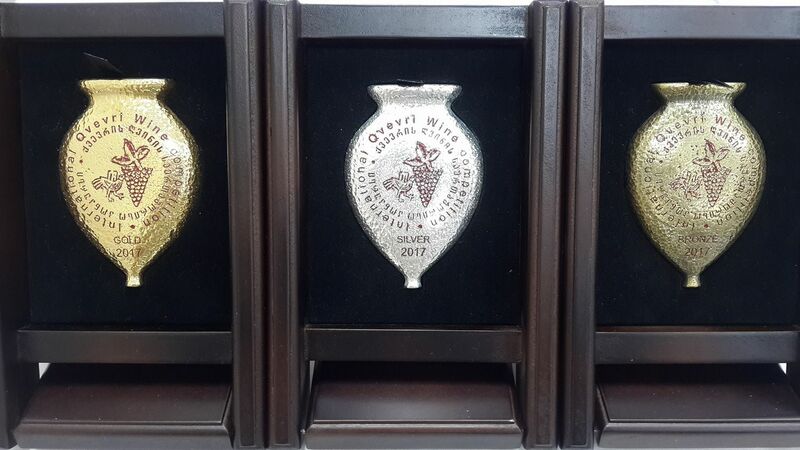 39 Georgian wines have been awarded in this year's competition, including 2 Platinum, 1 Gold, 12 Silver. This result is better than last year in both in quantity and in quality of awards. 19.09.2017. For the first time ever, Georgian wine will be sold at the stores of Cheers Wines in the Chinese capital of Beijing reaching a market of 22 million consumers. From today on, locals or guests living in Beijing will be able to buy Georgian wine at the stores of Cheers Wines, announced the Georgian National Wine Agency. Cheers Wines is a Chinese wine import company headquartered in Beijing with partner stores throughout China. 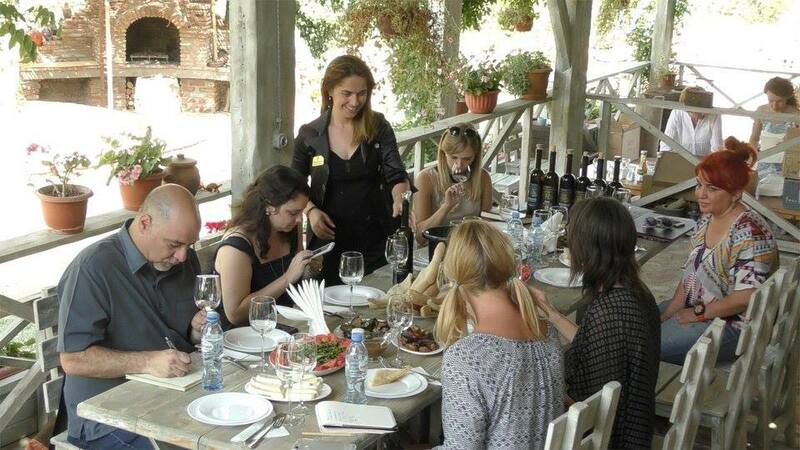 In order to promote Georgian wine Cheers Wines will hold wine tasting events in its 45 stores, where all people will be invited to sample Georgian wine for free. Cheers Wines was founded in China in 2008 by the Masueger family, originally from Switzerland, who had been in the wine business since 1898. 19.09.2017 (Hvino News). 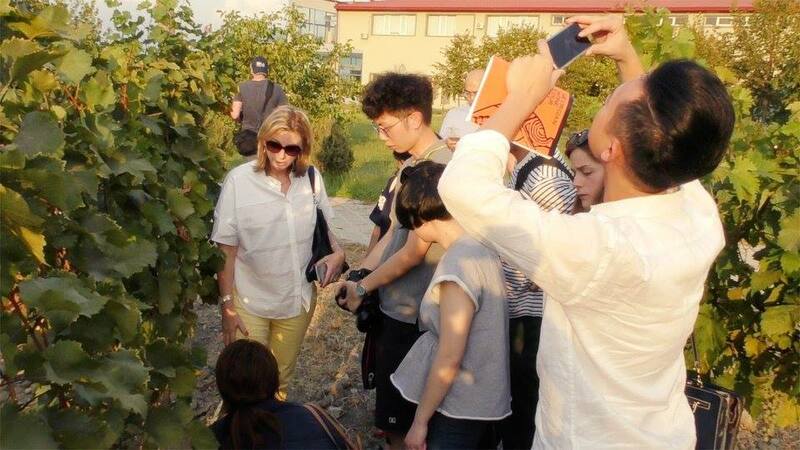 Last week Hvino News reported about Chinese wine professionals visiting Georgia. Now that tour already started to bear PR fruit, as The Drinks Business just published "Georgia in pictures" - a detailed account of the Georgian trip prepared by the group's member. Natalie Wang, online editor at The Drinks Business in Hong Kong, published a collection of over 20 slides from the trip, with her comments, "rounding up some pictorial highlights from her immersive trip to explore various indigenous grape varieties, its qvevri winemaking and its delicious traditional food". 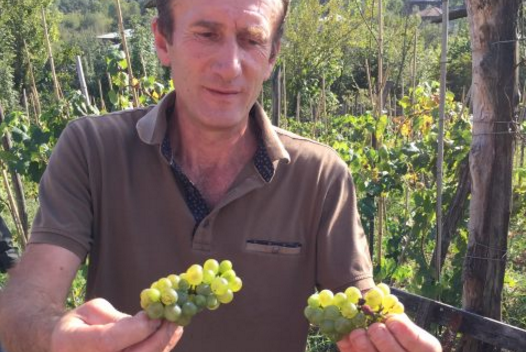 Here is photo and a comment: "Archil [Guniava - HN] is showing the Krakhuna grape variety grown in his vineyards in Imereti region. One of the oldest grape varieties in Georgia, the white variety is predominately grown in Imereti in western Georgia. The grape is thick-skinned, resistant to frost – a common climate hazard in western Georgia – and is described as “crunchy” by the winemaker. The grape is often blended with other Imeretian varieties including Tsitska and Tsolikouri to make white wines". To see all 20 slides, go to source. The London-based The Drinks Business is self-described as "global leading drinks trade publication, at the forefront of what is happening in the drinks industry." 16.09.2017 (Hvino News). 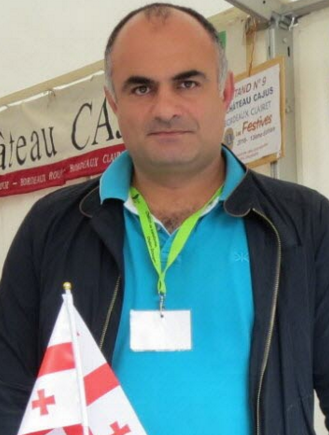 Recently Giorgi Chkheidze, Deputy Minister of Agriculture of Georgia, participated in the first "Georgian vintage" in Antibes, France. 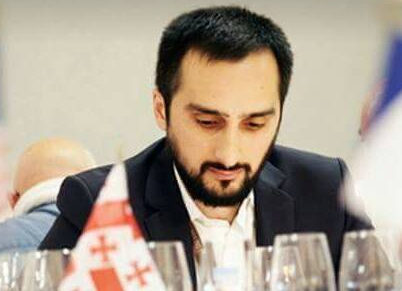 According to the deputy minister, popularization of Georgian wine is crucial to maximizing its export potential. In this regard, France is strategically important. “We have come from Georgia with qvevris, satsnakheli and all the traditional attributes that Georgian wine-makers and viticulturists use. We have also built a marani here. Everyone can come here because it is also a showroom”,- said Ilia Kakhoidze. 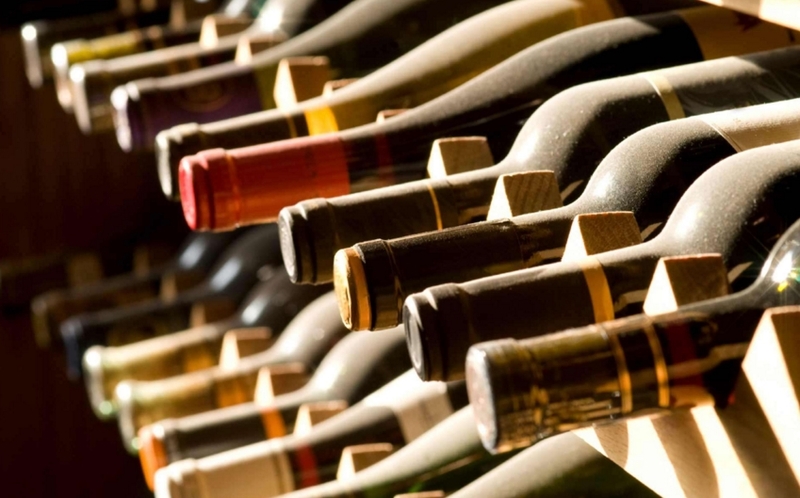 “With the support of the Ministry of Agriculture and National Wine Agency, Georgian wine producing companies take part in virtually all the prestigious exhibitions of international importance, which is a decisive factor for establishing Georgian wines in world markets. However, it should be noted that promotion of our wines by Georgian and French wine-makers in Antibes has different meaning. The ancient culture of Georgian viticulture and winemaking is clearly provided here”,- noted Giorgi Chkheidze. 15.09.2017 (Hvino News). 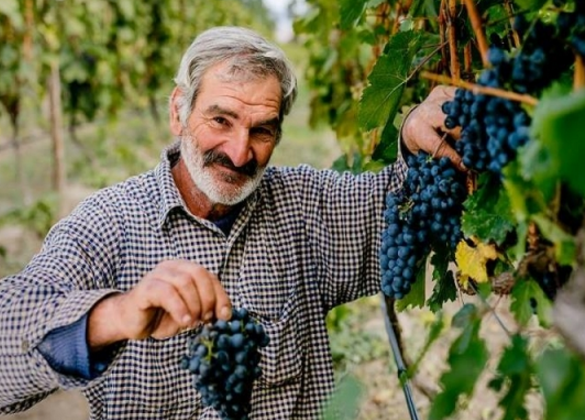 During the 2017 vintage, Kakheti Region farmers have earned 32.2 mn GEL from sales of grapes to winemaking companies, according to National Wine Agency data. As of September 14, companies have processed 29.7 thousand tons of grapes in Kakheti Region, including 12 000 tons of Rkatsiteli, 14.8 thousand tons of Saperavi, 1.2 thousand tons of Kakhuri Mtsvane. According to municipalities, situation is the following: Kvareli – 11,2 thousand tons, Signaghi - 6 thousand tons, Telavi – 3,8 thousand tons, Gurjaani – 4,5 thousand tons, Dedoplistskaro – 2,1 thousand tons, Akhmeta - 820 tons, Lagodekhi - 866 tons and Sagarejo - 396 tons. 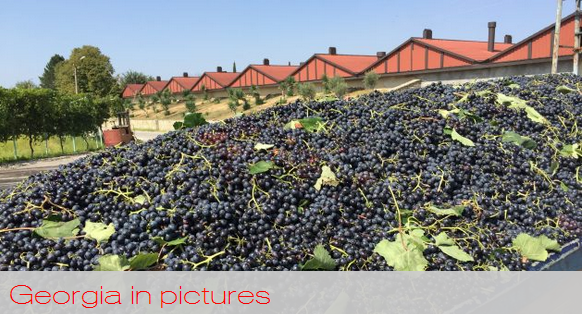 Daily processing exceeded 4.2 thousand tons and this signifies the vintage has entered active phase in Kakheti Region. At this stage, the vintage coordination board has registered 157 winemaking companies, of which 79 ones are participating in the grapes processing. 15.09.2017 (Hvino News). Bordeaux is hosting an exhibition called "Georgia, Cradle of Viticulture" at the world wine civilization centre Cité des Civilisations Du Vin today. 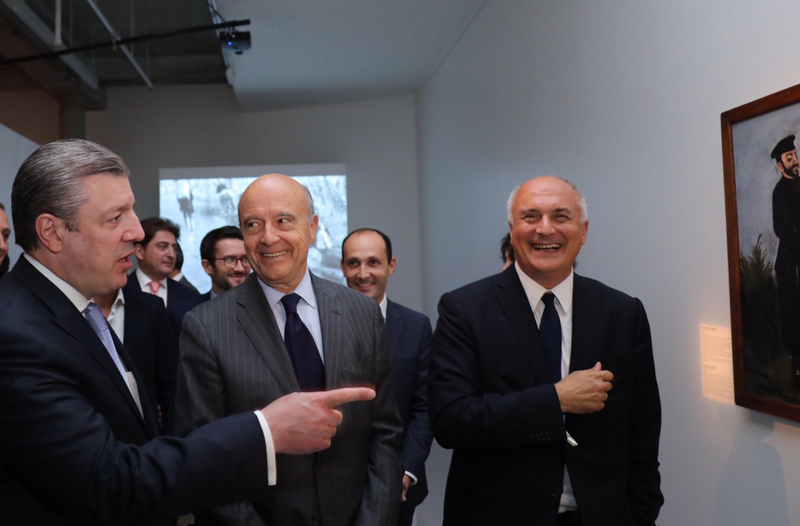 Today Georgia's Prime Minister Giorgi Kvirikashvili and Mayor of Bordeaux Alain Juppe visited Georgian wine exhibition in Bordeaux. Prime Minister Kvirikashvili said: "Wine is the major marker of Georgia’s national identity, just as ‘exquisite taste in everything’ is a big part of France’s national identity. I am very proud to be here and take part in this remarkable event. Today, in this Citadel of Winemaking, Bordeaux, we are celebrating the Cradle of Winemaking, Georgia. Eight thousand years is enough time to turn a leisurely activity into a critical element of national identity. And that’s exactly what happened with Georgia”. 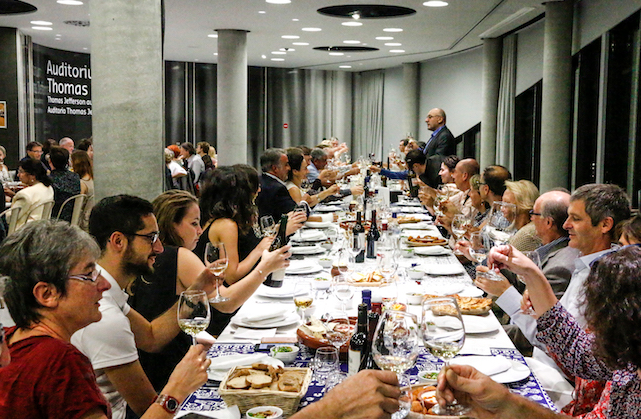 Nearly 164 international wine experts from 41 countries judged wines from more than 150 wine growing regions all over the world in the globally recognized summer competition. Georgia Today spoke to Vladimer Kublashvili, Chief Winemaker and Production Director at Winery Khareba, which was established in 1995. “Winery Khareba works to maintain the unique vine culture and winemaking using both ancient methods and modern technologies; consequently, the Company produces high-quality wines,” Kublashvili tells us. “Winery Khareba produces over 35 different kinds of wine from the best Eastern and Western Georgian varieties of grape and contributes to the safeguarding of Georgia's unique culture of viticulture”. 14.09.2017. 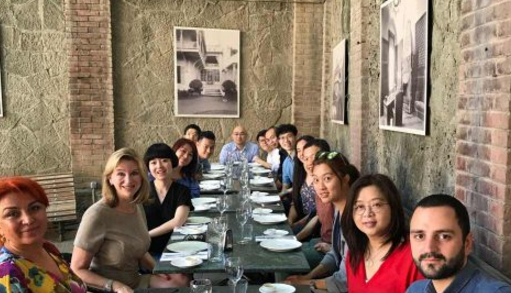 (Hvino News) A group of wine importers and journalists from China is visiting Georgia for a week. Guests will see wine cellars and companies in Kartli, Kakheti, Imereti, Guria and Samegrelo. The 13-member group is led by the wine master Debra Meiburg MW, who is the contractor of the Georgian National Wine Agency. 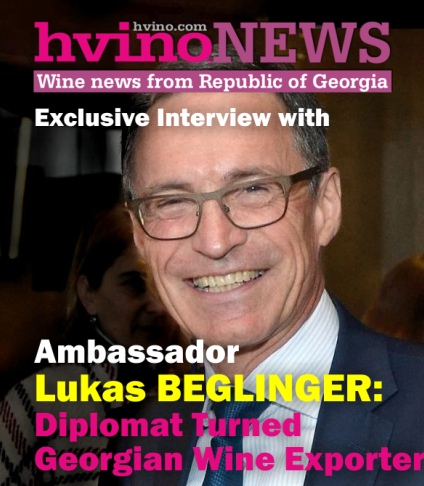 "I am once again in one of my favourite countries as I want to present Georgian wine to the Asian market. I want to introduce them to the culture that is behind [Georgian] wines, also the people, food and hospitality, character and history that makes these wines so special. I am excited that we are visiting the country during the grape harvest period and are able to taste grapes directly from the vineyards,” said Ms. Meiburg, - "It's wonderful to be in Georgia during the harvest, it's such an exciting moment, we can taste grapes from first hand, and really better understand the fruit strait from the vine to really better understand the skins and the flavours and everything that goes into making these wines so special." 13.09.2017 (Hvino News) Yes, you read it correctly: the legendary Feast of Bacchus belongs to the ancient Georgia as rightfully as to the ancient Greece and Rome. The explanation lies in the history, when the Kingdoms of Colchis and Iberia were part of the Greek civilization, and the Argonauts could have searched for the Golden Fleece in the same valleys where GWS now gathers the crops for its wine production. So it's not without reason that the winery GWS decided to revive Feast of Bacchus in today's Georgia, launching its new premium range TAMADA Grand Reserve in the refined atmosphere of unfading ancient classics. 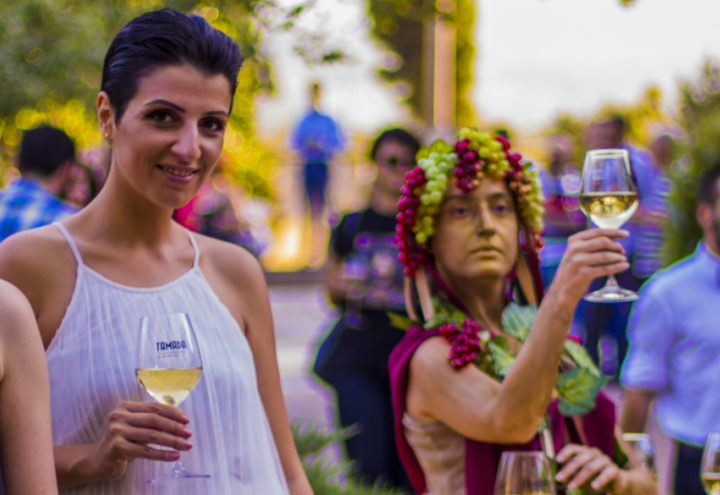 On September 9th, the legend came true on the GWS premises in Telavi, Kakheti, where nymphs and fawns mingled among VIP guests. 11.09.2017 (Hvino News). 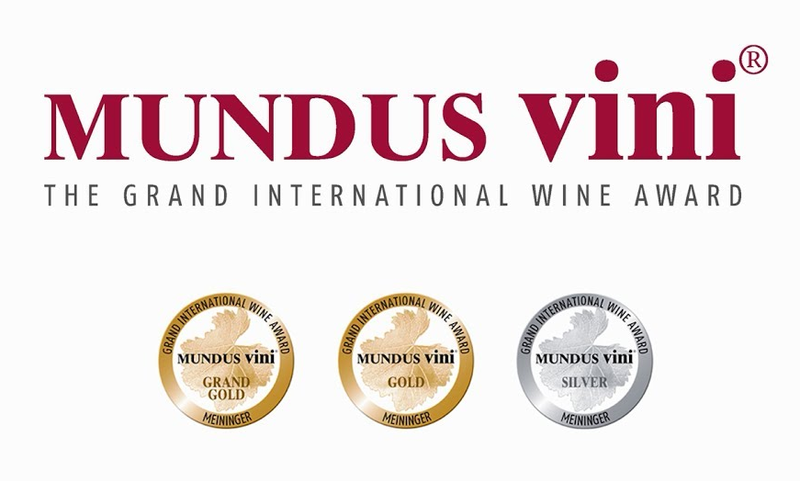 9 Georgian wines have won top awards at prestigious competition Mundus Vini 2017 Summer Tasting in Germany. The awards were announced recently. 07.09.2017. On 8 September 2017 at 11.00, Tbilisi City Court will hear the case brought by Judge Vladimir Kakabadze against the Chairman of the International Chamber of Commerce in Georgia Mr. Fady Asly. In his claim Judge Kakabadze pretends that by accusing him of being corrupt, Mr. Asly has damaged his dignity and his reputation. 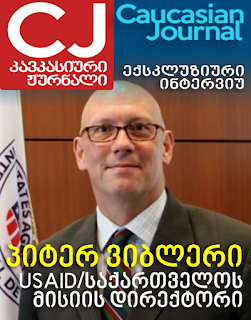 Judge Vladimir Kakabadze had issued two different rulings against Philip Morris and British American Tobacco penalizing them cumulatively for 138 million American Dollars based on a law that does not exist in Georgia. The Appellate Court later overturned his unlawful rulings after a broad local and international condemnation of his crooked decision. 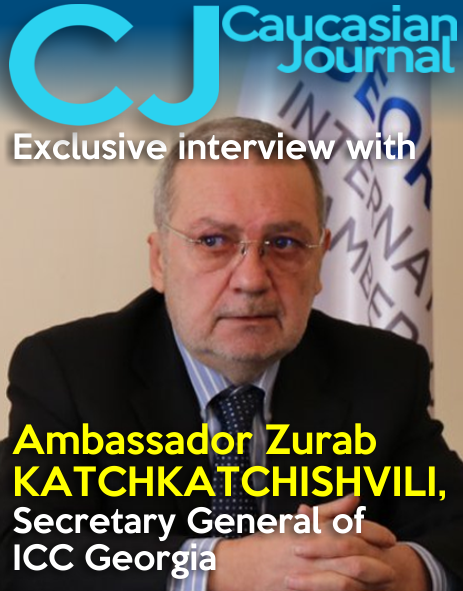 On March 24, 2017 the International Chamber of Commerce in Georgia had filed an official complaint against judge Kakabadze at the High Council of Justice requesting his full investigation. 07.09.2017 (Hvino News). According to official data, in January-August 2017, 45,3 million bottles (0,75l) of wine have been exported to 44 countries worldwide, that is 61% higher than the similar data of the last year. In the period under review, 100,3 million USD worth of wine have been exported, that is 55% higher than the data of previous year. Top five importers are: Russia, China, Ukraine, Kazakhstan and Poland. “According to the export data of 8 months, wine export has grown by 61% compared to same period of previous year. Wine realization income has grown by 55%. 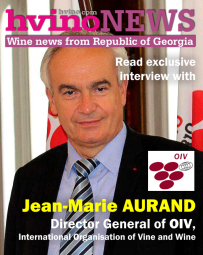 Georgian wine sales has grown to EU, South-East Asia, USA and other countries, which is a result of coordinated work and well planed marketing activity of the Ministry of Agriculture, National Wine Agency and wine sector”- stated Giorgi Samanishvili, the head of National Wine Agency. 07.09.2017 (Hvino News). 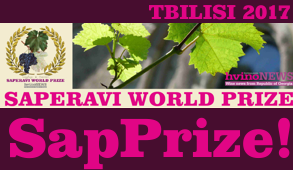 During the 4th International Symposium of Qvevri wine, The First International Competition of Qvevri Wine was held at Ikalto Qvevri School-Academy. 150 wines from Georgia, France, Serbia, Slovenia and others countries competed for 22 Gold, 20 Silver and 29 Bronze Medals, which were awarded recently at Ikalto Monastery Complex. 05.09.2017. Riding on the back of strong Georgian wine export performance to China and a newly signed Free Trade Agreement between the two countries, Georgian wines are racking up interest among trade professionals and consumers, bolstered by expected exemption of 14% import tariff on Georgian wines which could take effect as early as the end of this year. 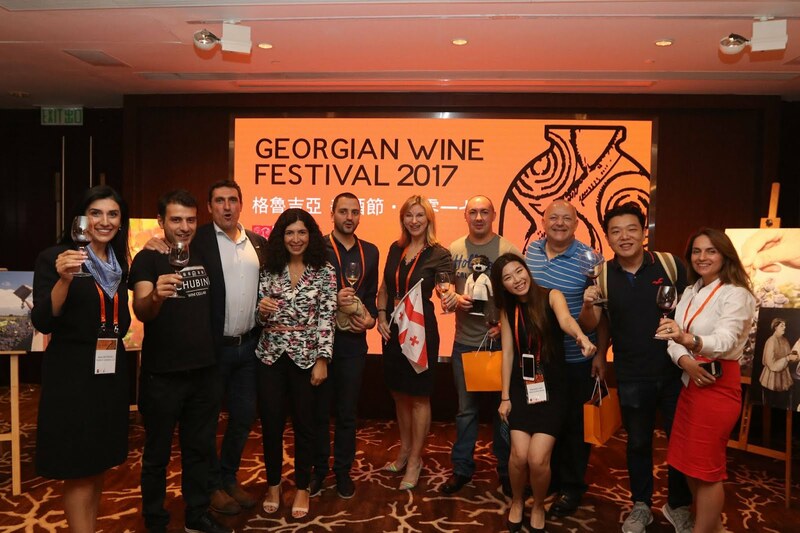 “With the implementation of the China-Georgia Free Trade Agreement, where wines from Georgia will be granted 0% import tax, along with wider of initiatives as part of the Chinese government’s ‘One Belt, One Road’ initiative, even stronger growth is predicted,” said Debra Meiburg MW, who has just hosted a Georgian Wine Festival event series across four Asian cities – Guangzhou, Shanghai, Singapore and Hong Kong – that showcased more than 80 Georgian wines. Currently, the ancient winemaking country in the Caucasus has already become China’s 12th biggest wine importer, just behind Germany and ahead of Canada. From January to July, China imported 3.08 million litres of wine from Georgia worth about US$10.87 million, representing a significant 126.2% jump in volume and 120.1% jump in value over the same period last year, according to figures from the China Association for Import and Exports of Wine & Spirits.